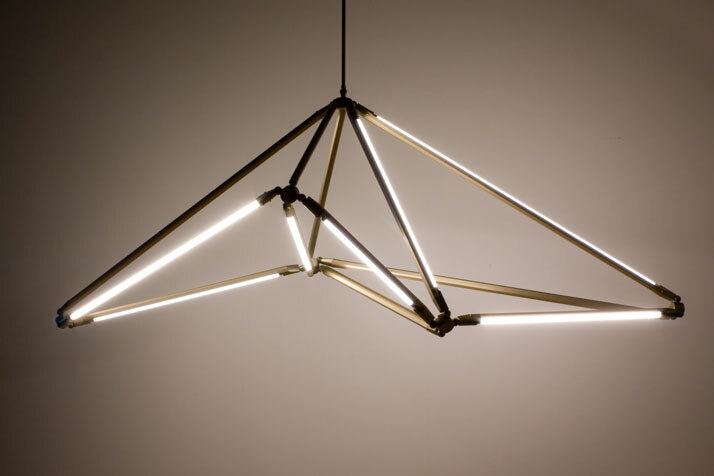 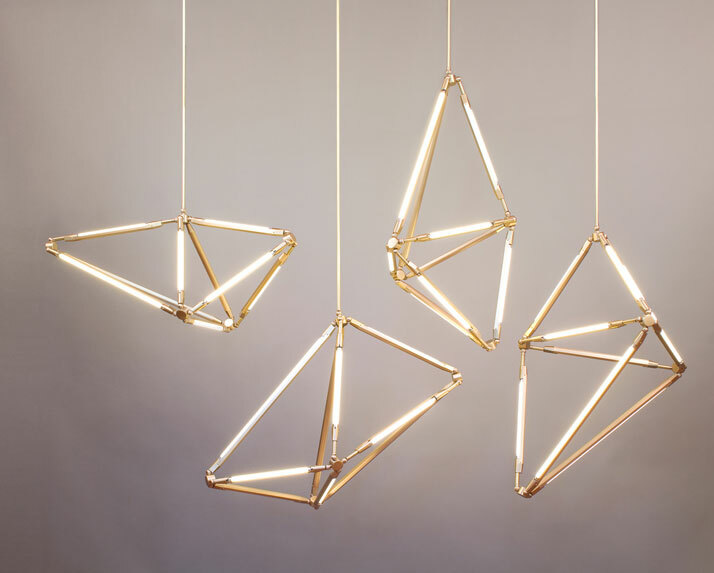 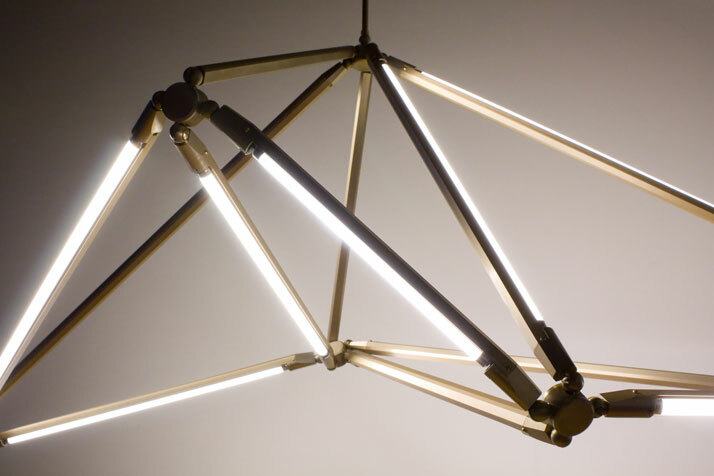 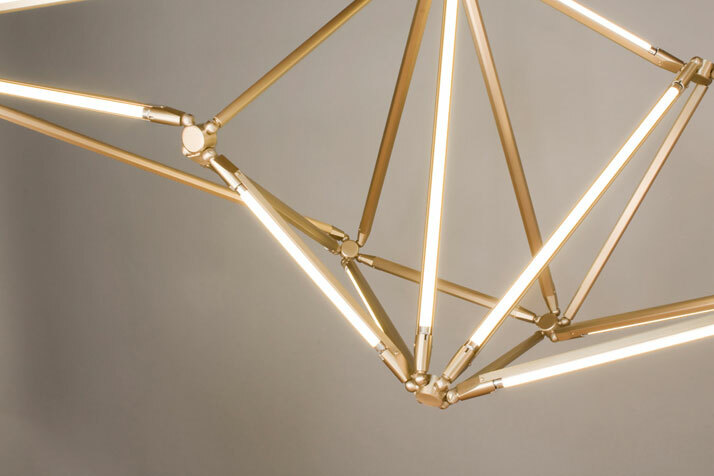 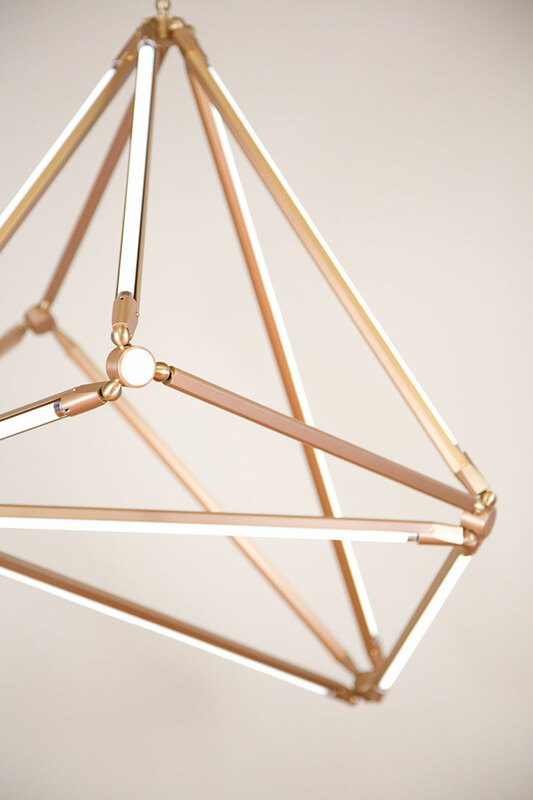 Bec Brittain - apart from being one of the most photogenic designers we know - is also a lighting designer based in Brooklyn, NY, who has been running her own studio specialising in high-end lighting since 2011. 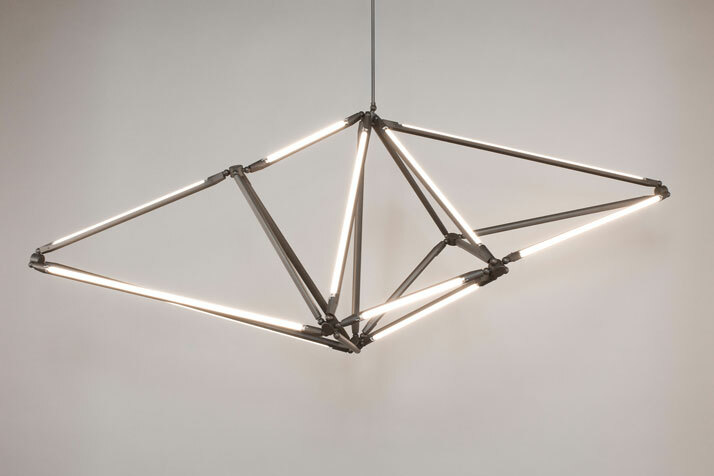 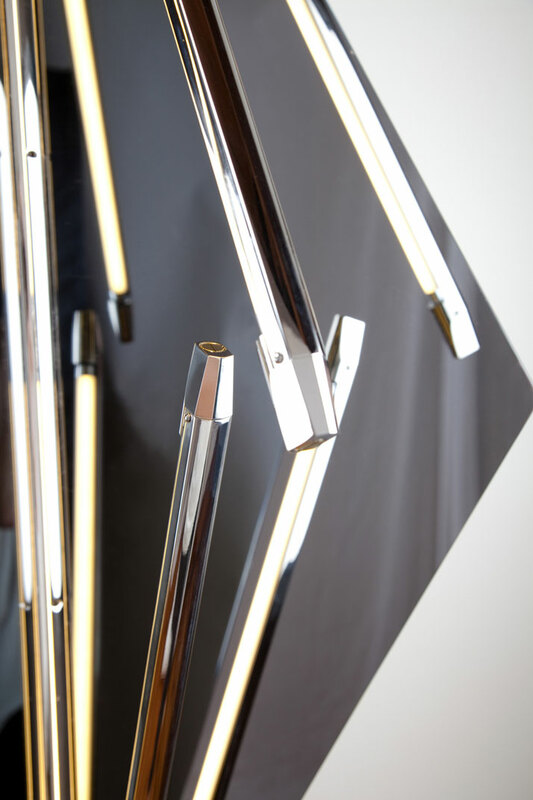 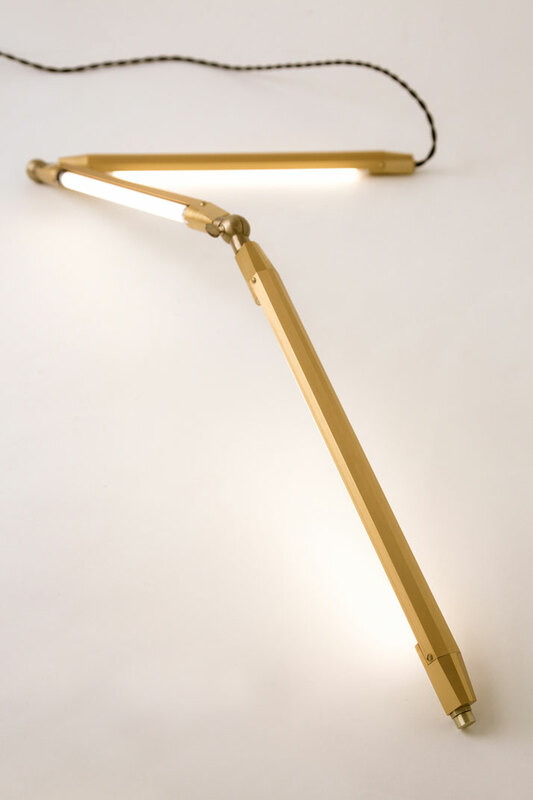 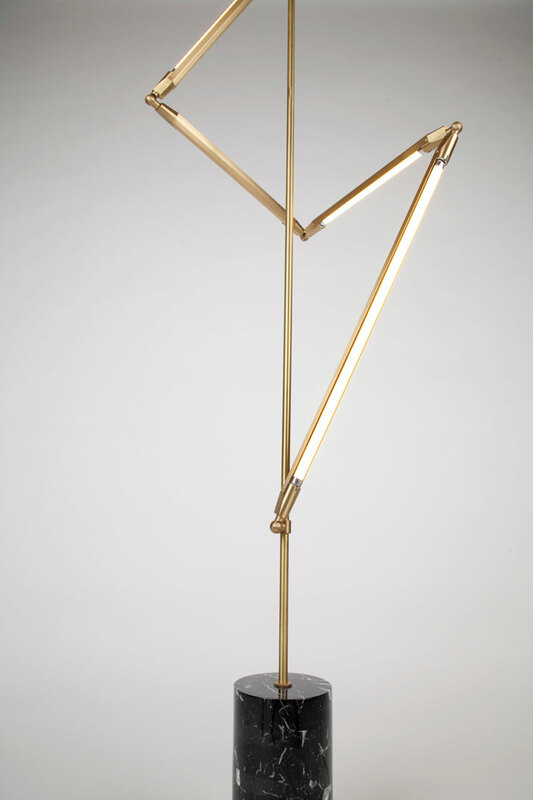 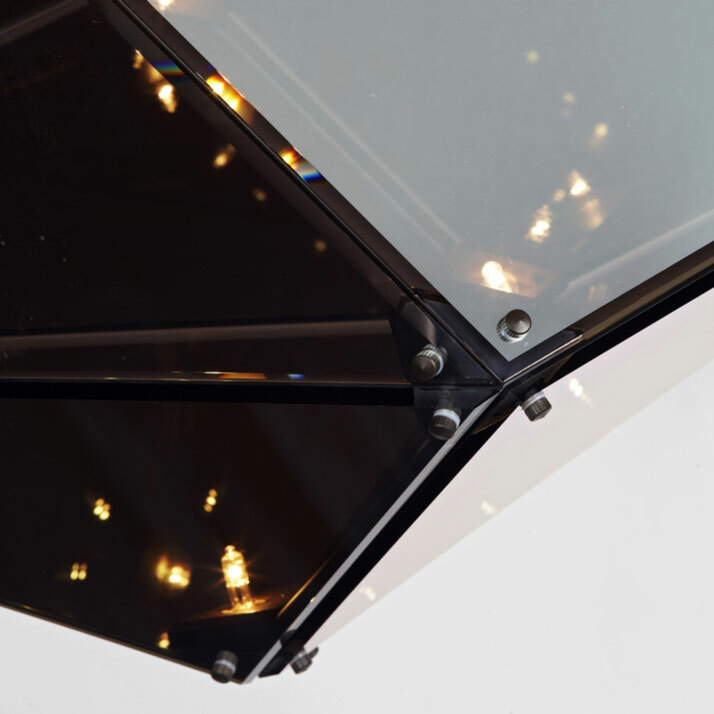 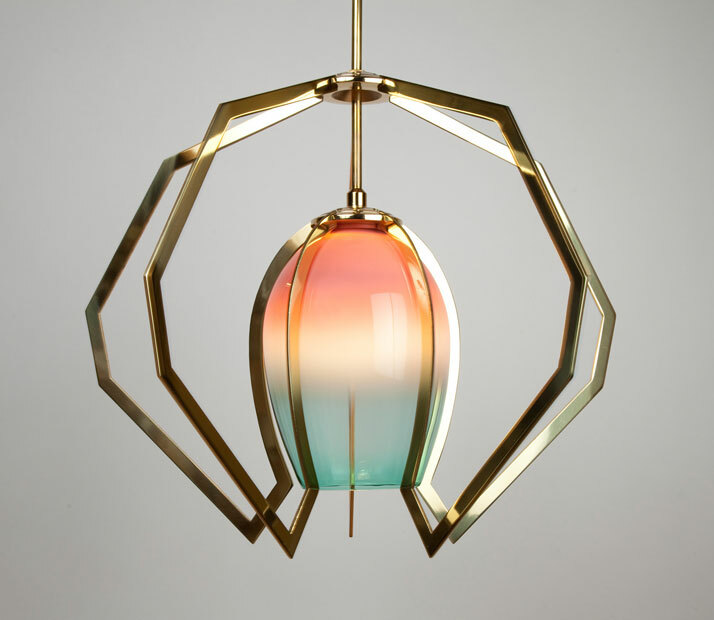 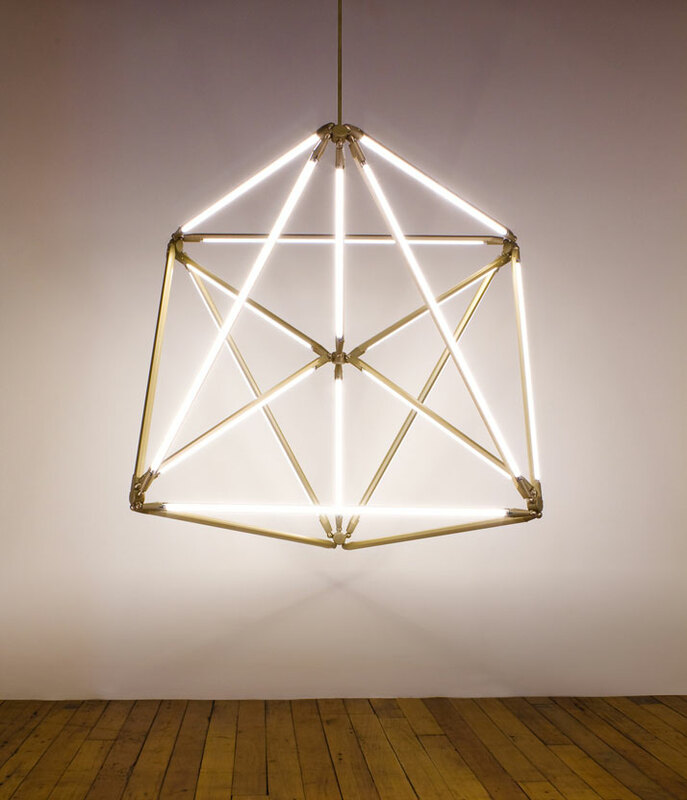 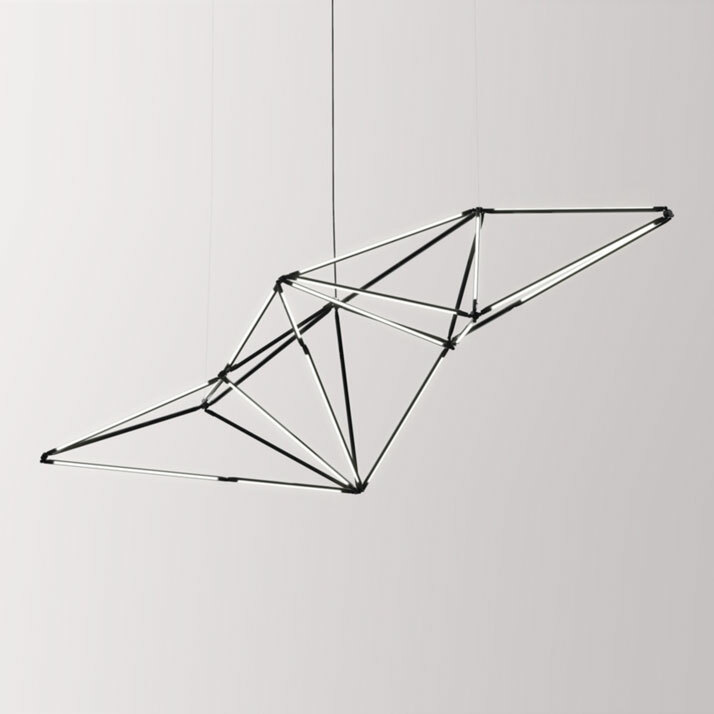 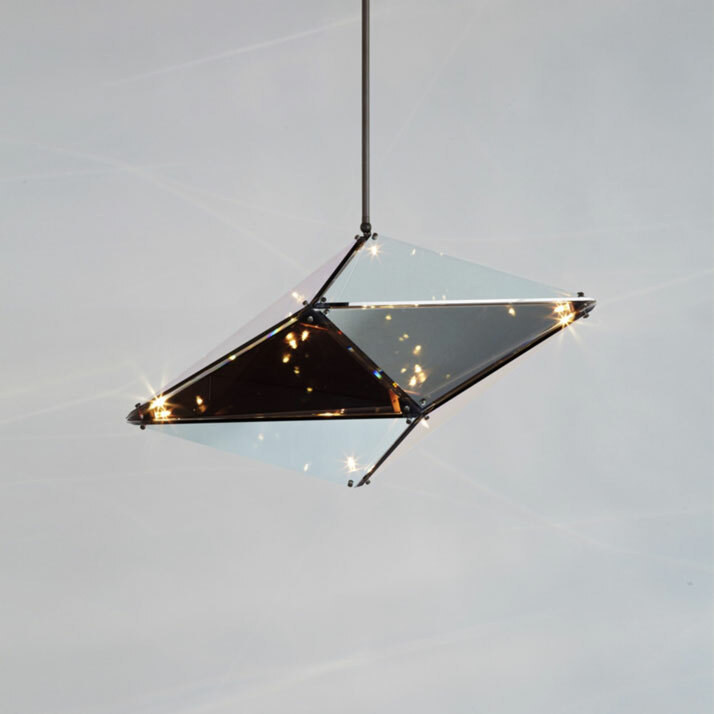 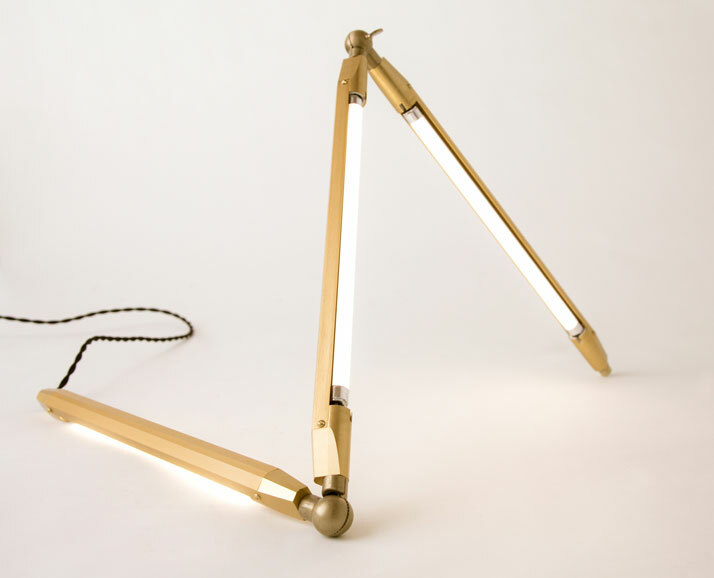 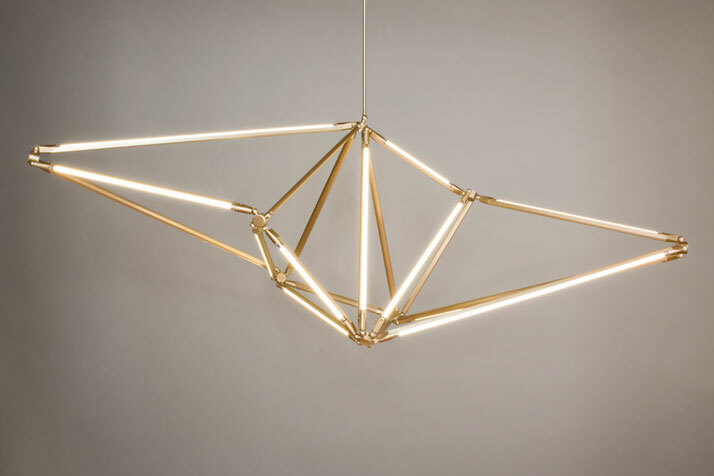 Informed by her educational background spanning architecture, philosophy and product design, Brittain’s design process incorporates her unique approach to light: for Brittain, phenomena like reflection and transparency are elements that can be incorporated in the overall design in an artistic, sculptural way. 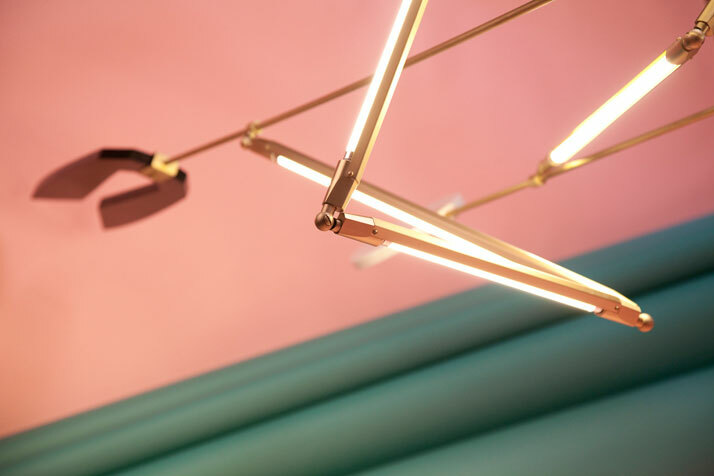 As a result, her lighting designs are like illuminated jewellery or small, light installations that possess a calm, sophisticated elegance and balanced geometry. 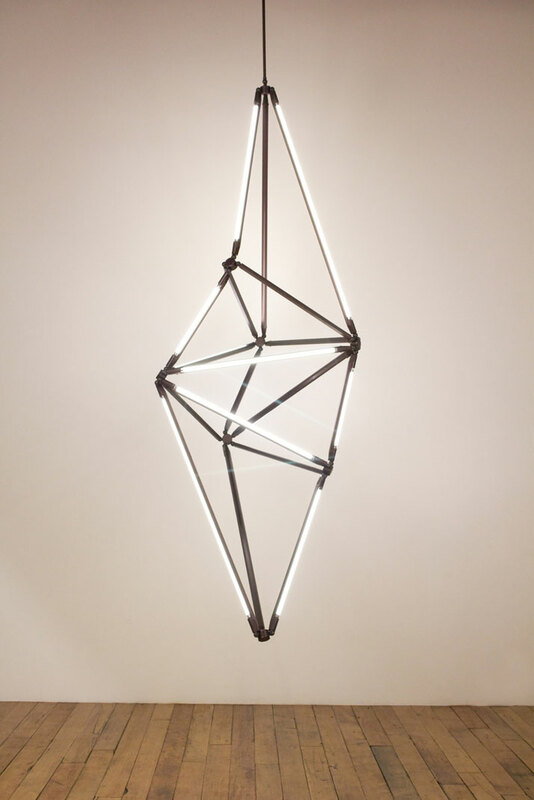 Brittain’s designs are usually modular (in shapes that are either more self-contained and closed, or more open and outward), made of materials such as bronze, hand-blown glass, marble and LED lights. 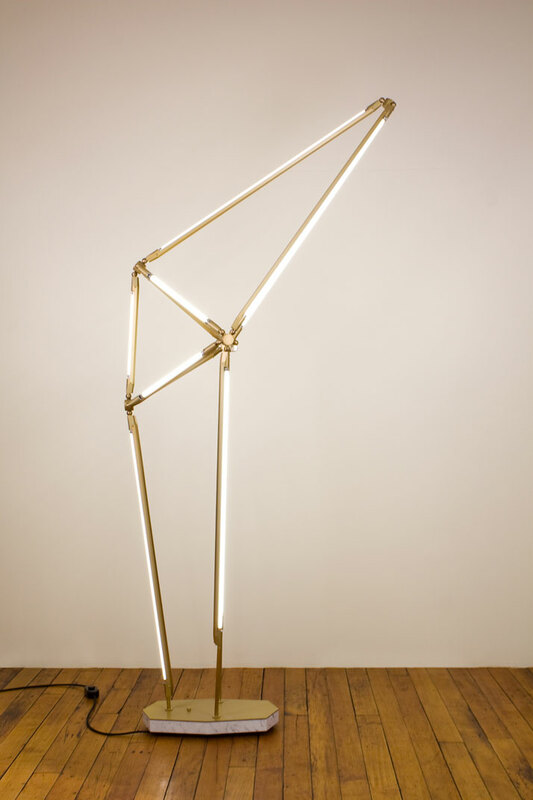 Her latest work explores the nature of using flat shapes to create 3D forms, and is inspired by Pueblo pottery, Persian flat weave rugs and Japanese armour. 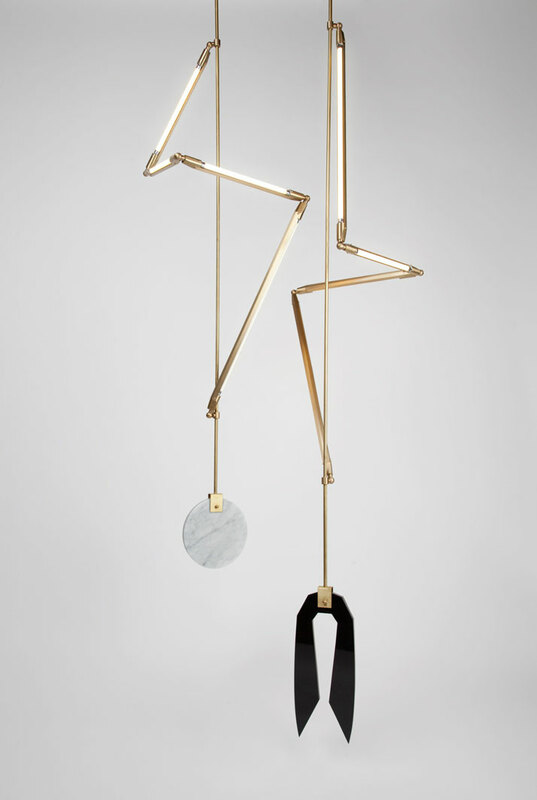 [YatzerTip]: Contemporary design store MATTER (405 Broome Street, New York, NY 10013) is hosting an event featuring Bec Brittain’s work on Tuesday 19 November 2013, from 6 to 8 pm. 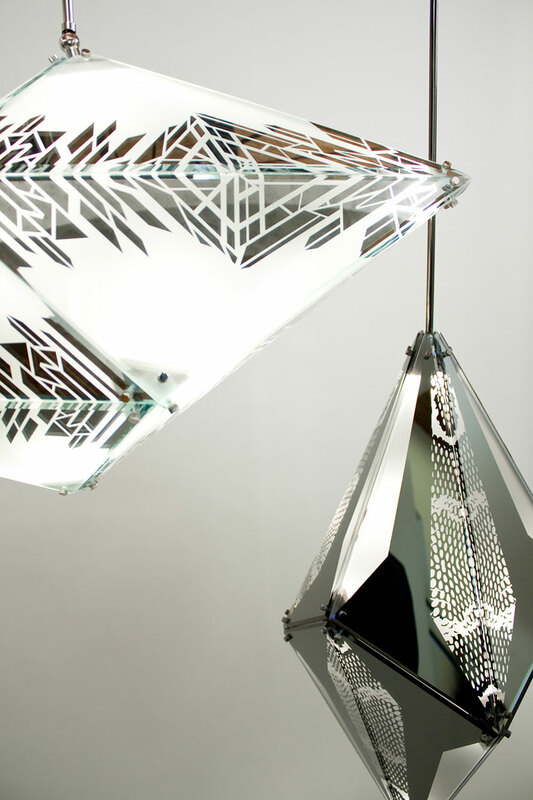 At the event you’ll be able to have a chat with the designer and see her bright designs from up close. 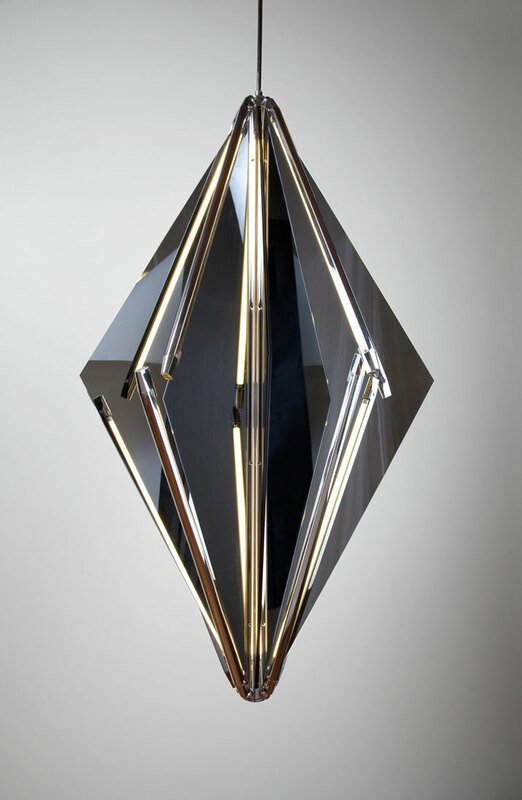 Bec Brittain, MAXHEDRON 42" for Roll & Hill.